For decades, intravenous infusion therapy has been a critical part of the patient care compendium serving as an efficient and immediate solution to dehydration, nutrition-absorption disorders and the delivery of life-saving medications. Today, however, it seems as if we can't stop hearing about ‘IV therapy’ in the context of a "fad trend". From the cult popularity of on-demand or mobile IV clinics offering quick hangover cures to wellness brands touting its transformative effects for general detoxification and vitality, it can be hard to cut through the noise. For years the medical establishment has appreciated the many ways in which IV therapy supports real symptom management and now it may be earning a place as an integral part of treatment for medical conditions but also as an alternative pathway for overall wellness. Below, we outline the backstory behind how nutritional IV therapy has grown in popularity (and relevance) and the many ways it supports improved health and wellness. How Did The Nutritional IV Craze Begin, And Why? Quite simply, the answer lies in the connection between micronutrients and health challenges. Even as overall health has improved and lifespans have increased exponentially over the past decades, micronutrient deficiency has spiked. One national survey conducted between 2003 and 2006 which assessed 16 thousand Americans and 19 micronutrients, revealed that the US adult population has depleted levels of essential vitamins and minerals ranging from Vitamin B6 and niacin to copper, selenium and vitamins A, C, D, and E.
While the full implications of these deficiencies aren’t known, we do know that they can (and have) led to increased inflammation, surgical complications, decreased immunity and impacted post-surgery recovery. There is also the belief that these deficiencies could be contributing to rising levels of chronic disease. According to the Center for Disease Control (CDC), over half of the US population in 2012 suffered from one or more chronic conditions such as diabetes and obesity, while over 50 million Americans suffered from an autoimmune disease. You’ll be hard pressed to find someone who doesn’t agree that these numbers will only continue to rise. So Where Does Nutritional IV Therapy Come In? The fact that intravenous therapy offers improved absorption and bioavailability opens the doors to better treatment options and increased patient benefits. In terms of post-operative recovery, for example, The 2003-2006 National Health and Nutritional Exampling Survey revealed that when patients receive micronutrient IV therapy, physicians see improved wound healing, faster fistula closure, positive nitrogen balance and better strength and activity during recovery. Energy and metabolism boosting treatments to offset seasonal affect disorder, depression and to expedite weight loss efforts. Magnesium to prevent eclampsia and premature labor. Short-term intravenous therapy with deoxycholic acid to help dissolve cardiac and carotid plaques and significantly improve lipid profiles. Sodium edetate being used intravenously to aid in detox from heavy metals. L-carnitine and other nutrients being used to successfully decrease post-workout soreness and muscle fatigue for extreme athletes. 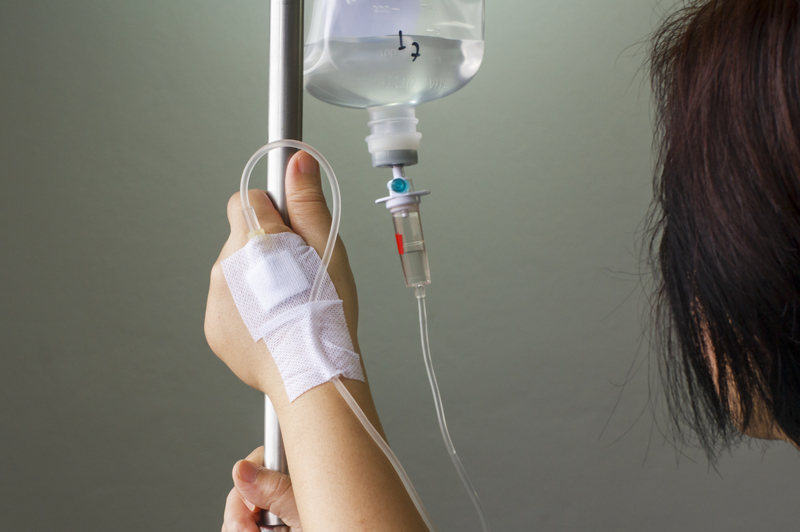 What Are The Best Pieces of Advice For Offering Intravenous Therapy At A Practice? There are no shortcuts. A full panel of blood work prior to treatment is essential. Providers should always review a patient’s chart and consider symptomatic diagnosis before making a treatment recommendation. Patients should not be selecting their “IV Cocktail” from a menu. It also goes without saying that patients' informed consent is required. Training cannot be overstated. Clinicians need to understand osmolality for IV solutions, signs of discomfort, how to handle complaints and adverse reactions during the procedure and have a crash cart on-hand. Providers should always be present throughout the treatment in case of anaphylaxis or other emergency situations. Careful precautions and research related to potential patient allergies and RDA is necessary. We always recommend that staff keep an eye on key vitamin and mineral levels (such as iron) to maintain safe ranges. Aim for excellence at every step. To maintain the integrity of ingredients, only prepare the IV a few hours before an infusion versus the night before. Protect light-sensitive ingredients like Vitamin C with a UV protectant and when possible, use compounded essential nutrients that are preservative-free. Presentation: Evolution of Nutritional IV Therapy, Mitchell J. Ghen, D.O. Ph.d 2014. Samantha Blakeney is the business development director at VLS Pharmacy and New Drug Loft, a compounding pharmacy network based in New York City and licensed in over 30 states nationwide. The network has a state-of-the-art sterile compounding facility that is USP<797> compliant. They are accredited by PCAB/ ACHC, members of PCCA and IACP and are part of the elite UCAP/UCM accreditation program. The full scope of their compounding services is available on their website where you can also learn more about their nutritonal intravenous capabilities.